It's a fact. Brett Manning knows great singing. Brett also knows great coaching. In an effort to meet the growing popularity and worldwide demand for his method, Brett has trained a select team of Associate Coaches to carry on his technique to the world. Brett's Associate Coaches spend hundreds of hours learning and observing. When taking lessons from a Certified Brett Manning Associate you know you are getting quality teaching from a professional vocal instructor who has met the stringent standards required to attain Brett's personal certification. Brett Manning Studios in Nashville, Tennessee, features a team of coaches with the highest degree of skill and artistry: the Brett Manning Master Associates. These coaches are hand-picked by invitation only and personally-trained by Brett to be the best of the best. Many well-known celebrities choose to study regularly with Brett and his Master Associates, and they can confidently recommend this training to anyone who considers themselves a serious vocal student. We encourage studying with each coach to provide the most comprehensive training available anywhere in the world. All lessons are available as in-studio, over-the-phone, or webcam (Skype) lessons. Call today and take a giant step towards your singing success! Brett Manning has become one of the world's most sought after vocal coaches, largely because of his uncanny ability to "see with his ears," and instantly invent exercises that get astounding results. His client list contains winners of the world's most prestigious vocal awards, including the Doves, the CMA Awards, and the Grammy's. Despite having an incredible five octave range himself, Brett continues to claim "my students eventually out-sing me!" Brett Manning's Associate coaches have many years of experience as voice teachers, artists and performers. They are seasoned singers with real experience in the music industry. In fact, many of them are current touring artists! With Brett Manning or a Brett Manning Associate, you get much more than a voice teacher. You get a qualified and experienced instructor who can teach you technique and help you develop a solid foundation, but also help you apply it to any genre or song. 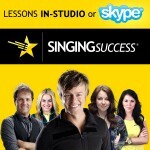 Voice lessons are available In-Studio or via Skype! Sessions start at $100/hr. Prices vary depending on the instructor. All ages and skill levels welcome! We offer fully customized lessons that are designed to meet you where you are vocally. No experience required! All Brett Manning Studios coaches are certified through the Brett Manning Associate Program! Brett has personally trained and certified each of his coaches. Please visit our website to learn more about our coaching staff and find the best fit for you! Our staff is influenced by a wide range of singers. You will often hear the vocal stylings of artists like Eva Cassidy, Jimmy Gnecco, and Mariah Carey coming from our studios, just to name a few! I've been studying with Brett and his staff for 2 years now and can not believe how much they helped my voice. All the coaches are incredibly nice, supporting and encouraging and highly professional. I am so glad to have stumbled over their program a few years back... It's also the only technique I know of (and I've researched so many different singing techniques) that keeps evolving! Thanks to everyone at BMS! You really saved my career! Brett Manning and his Associates are some of the best vocal coaches in the word! I've lost count of the amount of breakthroughs that I've had in my own voice since I started training with Brett Manning Studios three years ago. Having studied with Brett and four of his associates, two of which are currently coaches in this Nashville stdio, I know that not only are they extremely effective vocal coaches, but also great singers. It is very important to me to know that a vocal coach be able to demonstrate what they ask of me, and these are teachers are more than capable! I recommend these coaches to anyone, either interested in learning to sing or someone who wants to perfect what they already have. And no complaints about the cost of a lesson, the most expensive lesson you will ever take is the one that doesn't work! "You can grow a day in a year, or a year in a day..." This is a phrase that I have heard more often at Brett Manning Studios in the last few weeks. When getting vocal coaching from Brett or any Associate in the studio the latter is true. Most singers have a breakthrough every time they come into the studio. The technique is so easy and allows for so much freedom and enlists vocal coordinations that haven't been thought about since you were a child. I know you've heard of the "primal / functional fitness" trend, well, this is Primal Voice (voce primordiale for my italian friends or students of classical voice). This back to basics approach to singing has created vocal freedom in singers who thought all hope was lost for them because of poorly trained technique. Another huge facet of Brett Manning Studios is the concentration on artistry. All of the coaches will ensure that whatever you sing stays true to the song while never compromising technique. On an administrative note, the staff has always been very caring and helpful for whatever I needed. There is always amazing vocal tea available and a full range of voice related supplements for you to enjoy. The general vibe of the studio is wonderful and exactly what you would expect from Music City. If you're looking for some vocal coaching my recommendation could not be stronger. It doesn't matter if you think that you can't sing or if you've been singing for years. The experience you have here will make you a better singer, no matter what! Unlike any other vocal lesson you've ever taken, and worth every penny. The coaches at Brett Manning Studios will take your voice to new levels and teach techniques that will help your voice grow outside of lessons as well. Highly recommended! Brett Manning is the best in his field of "voice"! Careful consideration to who your voice reflects you to be in any form or using your gifts. He is generous and patient and excellent in helping you achieve more than you imagine you could. "Yes" on Brett! A big YES! I have been working with Brett and Singing Success for about 15 years now. I only have words of praise as a comment! I have not only learned how to sing better, but I now have more confidence when I sing, knowing that what I have learned at Singing Success really works! Even though I sing all genres of music, I am actually a Gospel singer and Brett has been helping me perfect the gift that God has given me. I would highly recommend Brett or any of his associates as vocal coaches. I have had the pleasure of working with some of them as well. No matter which coach you work with, I guarantee you will get results! You will feel so at home when you visit his studio. The staff is always so genuine and friendly. If you are really serious about developing your voice and want to see results, I recommend giving Brett Manning's Studio a try. You will not be disappointed. Let others know about Singing Success. Did this teacher help you to learn? How long did you take lessons? Are you still playing music? 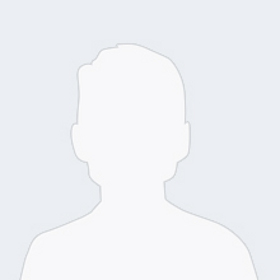 Share any thoughts or stories you have so that others can know about this teacher!